Grandstand at Old Orchard Maine. 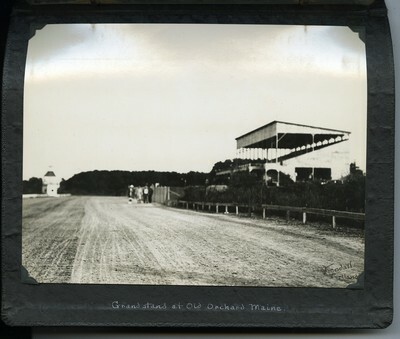 Black and white photograph of the grand stand and judges' stand at the Old Orchard Beach Kite Track in 1936. The photograph is signed in the lower right corner by photographer Guy Kendall.